200 pages | 28 B/W Illus. Tong Shu is an Associate Professor at the Business School of Hunan University. Shou Chen is a Professor at the Business School of Hunan University, and a member of the Discipline Assessment Group in the Academic Degrees Committee of China’s State Council. Kin Keung Lai is currently the Chair Professor of management science at the City University of Hong Kong. Xizheng Zhang is a Professor at the Business School of Hunan University, and one of the major members of Project Management Centre, Hunan University. Shouyang Wang is currently a Bairen Distinguished Professor of management science at the Academy of Mathematics and Systems Science of Chinese Academy of Sciences and the Lotus distinguished professor of management science of Hunan University at Changsha. He is also adjunct professor at over 30 universities around the world. Risk management is one of the most important, most urgent and most difficult topics for not only top managers of every enterprise and top officials of every governmental department, but also for scientists in the fields of economics, finance, engineering, social science and earth science. 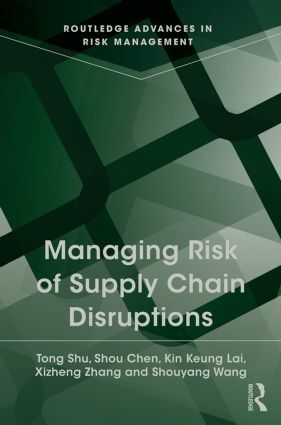 The book series places emphasis on the main problems of risk management in the changing new environments of operational and systems management. It invites quality works covering analysis, modeling, empirical studies and case analysis so as to offer solutions to the emerging new challenges. It aims to publish new theories of risk management, new methods for risk management and new successful applications in risk management to promote research and development of risk management in many industries and many disciplines; to provide a bridge for exchange of academic researchers and practical risk managers to help academic researchers’ better understanding of risk and risk management and to help managers and officials to learn new methods, techniques and tools which might be efficient in risk identification, risk analysis, risk control and risk management.